Check out those red and white barber chairs. 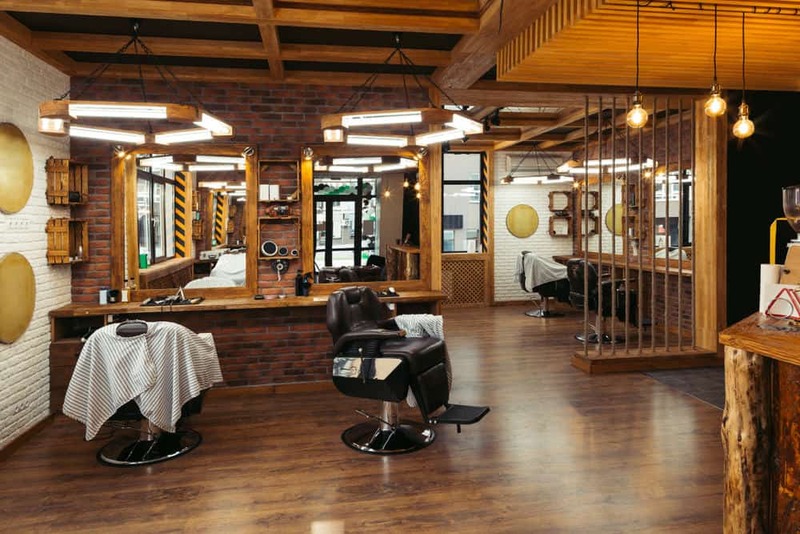 They are so cool and totally make this barber shop awesome (the brick and wood flooring helps too). Or, maybe you’re renovating your current space? 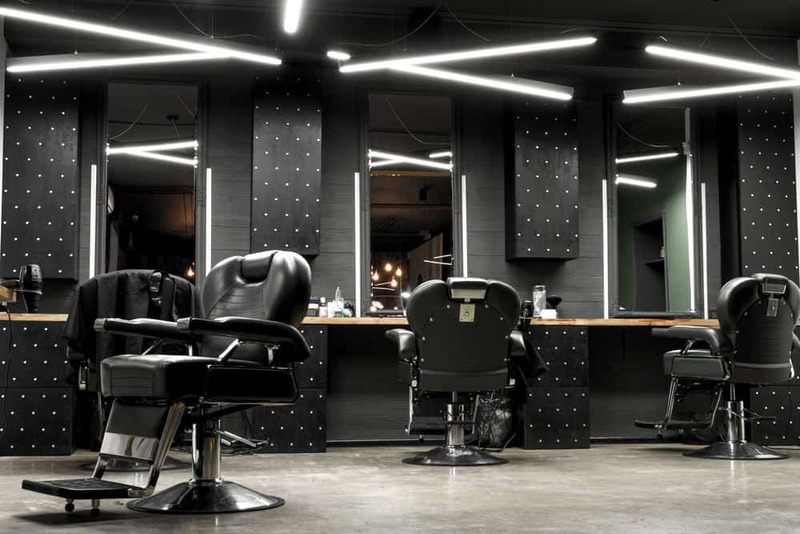 Check out the barber shop interior design ideas from these stunning 15 examples. 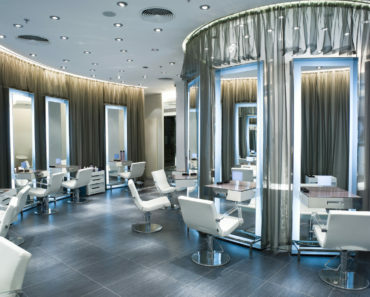 I love every interior here and would really enjoy being a client (assuming the cut and service is good). 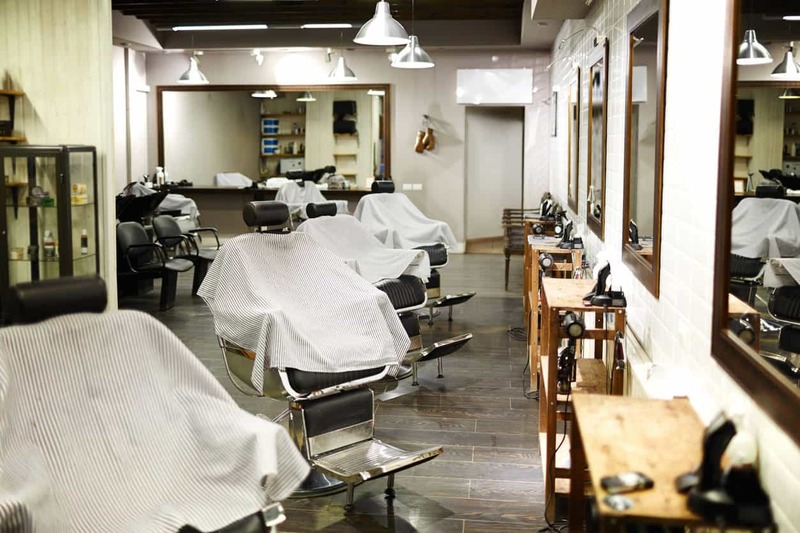 While the space is important to attract clientele, it’s not a substitute for top-notch cuts, shaves and service. 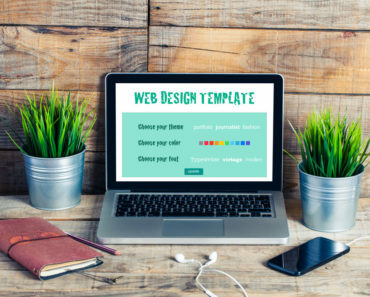 I know you’ll get some great ideas here. I had a ton of fun putting this collection together. 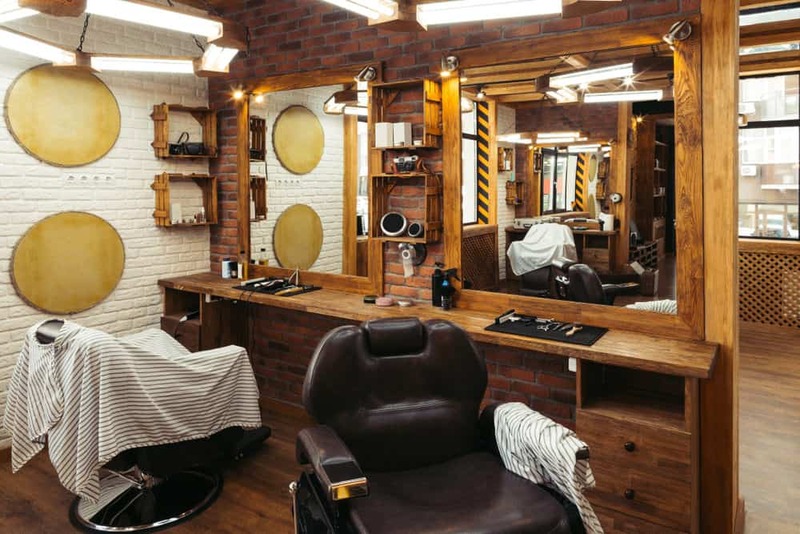 I like the individual barber stations which look aged (probably are) along with mirrors mounted on brick wall. 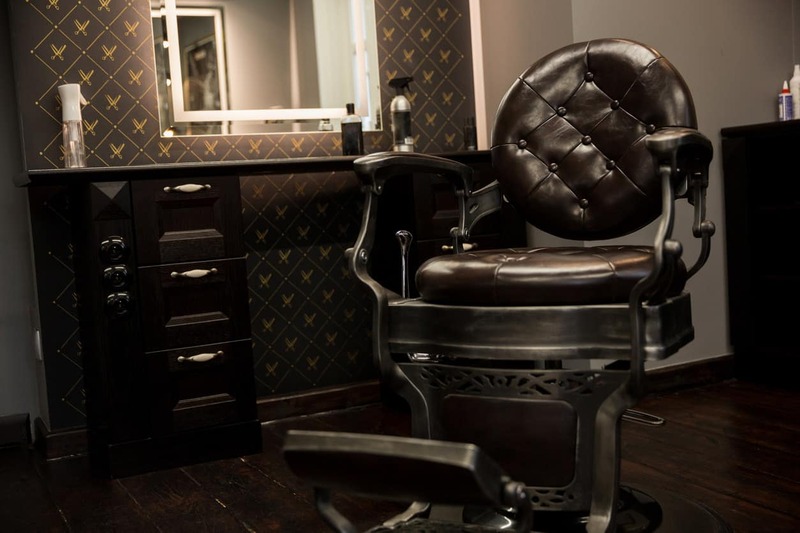 The black and white barber chairs look good too. 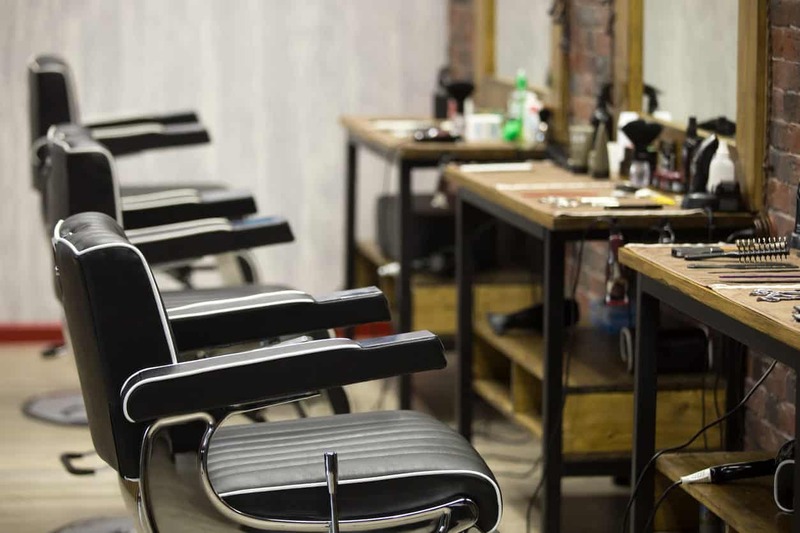 It doesn’t take much to create a fabulous barber shop space. Check this one out. It’s pretty simple design-wise. There are some nice pendant lights, inexpensive station cabinets, mirrors and a line of chairs. That’s it, yet I think it looks great. Vintage barbershop, chair, close up. Now that’s what I’m talking about. 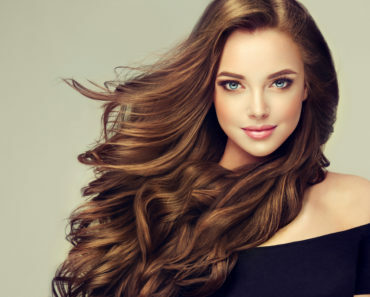 That’s not easy to find, but it sure is a beauty and would make any barbershop look fabulous. 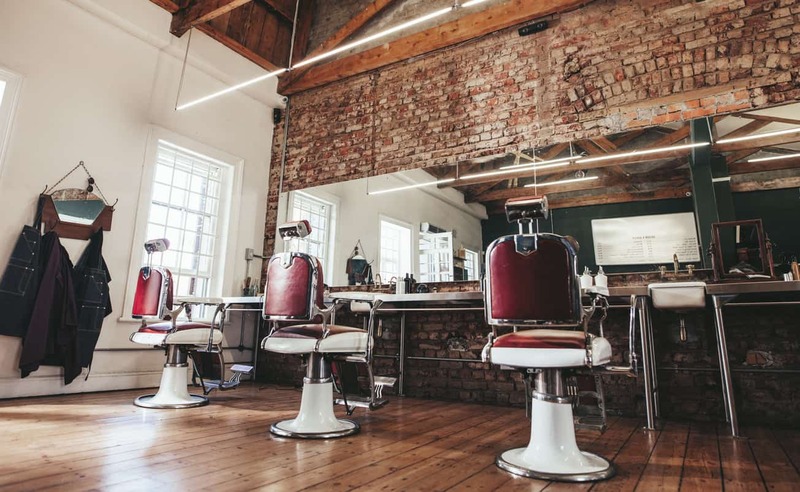 Here’s an example of a simple, rutic barber shop design with white painted brick wall and then the hair cutting stations are against a dividing brick wall. Simple wood cabinets make up the stations. Larger view of the barbershop above. It has several station sections and certainly isn’t crowded. You could easily add more stations to this space. The rustic design is great. 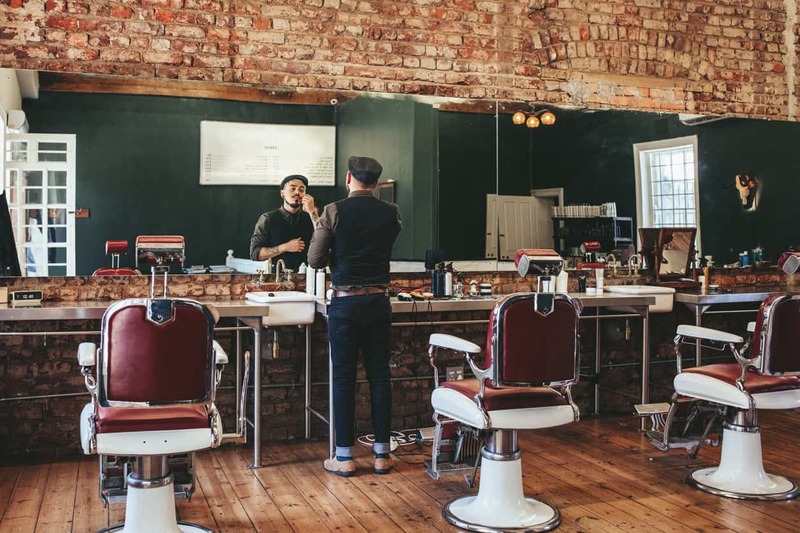 Here’s a barber shop in an old building with brick walls and old wood flooring. It’s essentially a large empty space with wood flooring, a fantastic floor-to-ceiling window and wood cutting stations. Those chairs are definitely a new but designed to look old school. 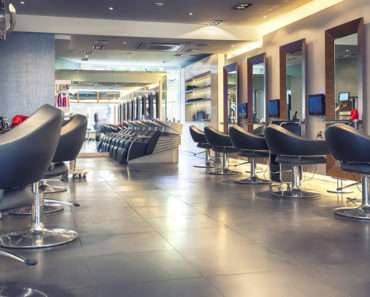 Here’s a modern barber shop design. It’s very masculine with the black walls and chairs. Check out the Star Wars like lighting. This is definitely a unique barber shop interior look that works well. 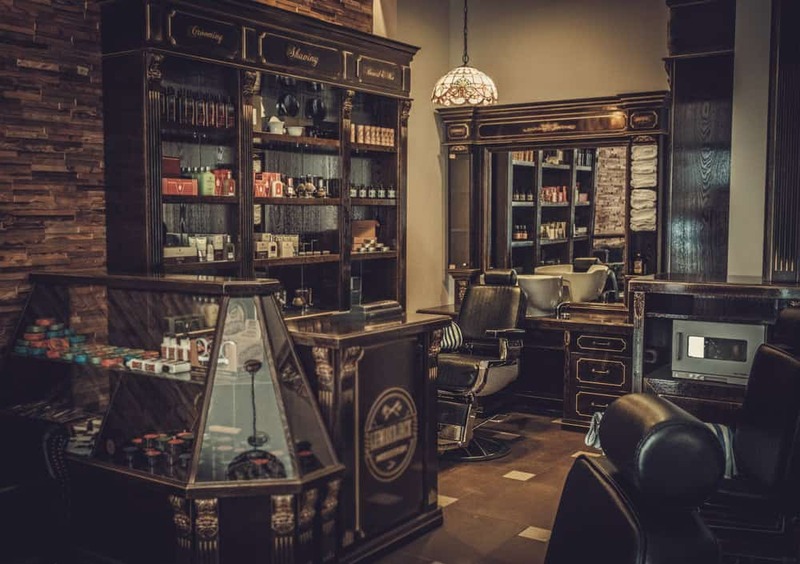 It’s a big difference from the rustic and vintage looking barber shops you so often see. Check out those awesome chrome pendant lights with brick, mirrored wall as background. The floor is distressed hardwood. A nice touch is the white walls which contrasts nicely with the red brick, black chairs and dark wood flooring. Now we’re talking pure vintage old school barber shop design. Look at the detail with those dark cabinet cutting stations along with the old school chairs (which are new, but look old). The brick wall, towel shelf and so much more. 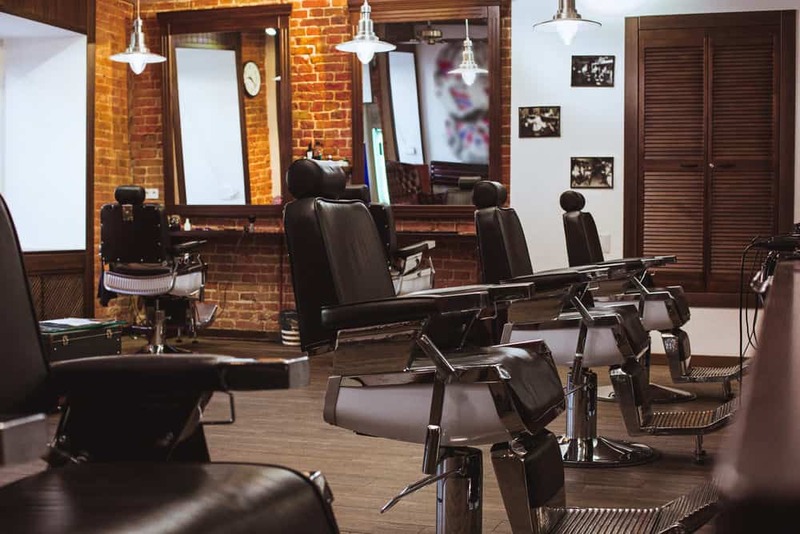 This is a truly inspiring barbershop interior. Here’s a larger view of the above barber shop. Look at the detail in this vintage shop. The display case, cash register area, woodwork, old brick, Tifanny chandelier. 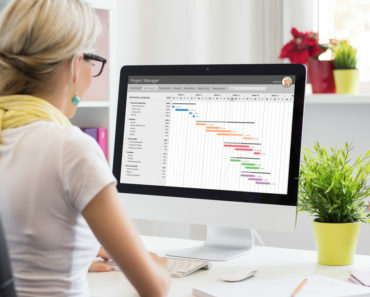 This is one amazing design. Another rustic, masculine design. I love the suspended wood lights. Those are definitely custom. Check out the coffered beamed ceiling which goes well with the brick and wood flooring. 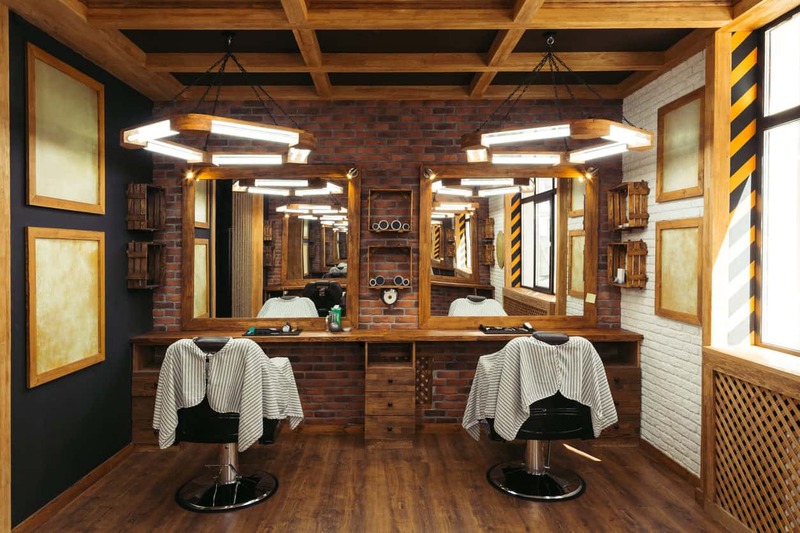 Great design for a small barber shop space. 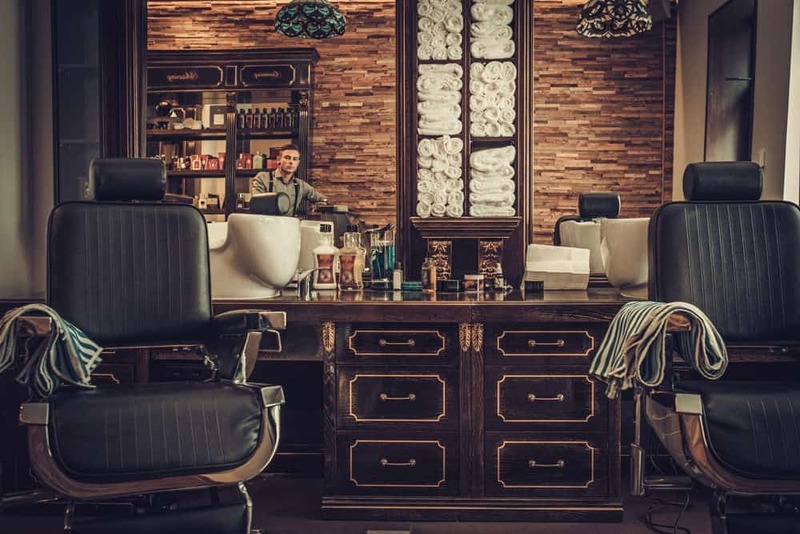 Here’s a close-up photo of a barber shop cutting station with a beautiful dark brown barber chair with black steel base. The chair sites in front of a dark wood cutting station cabinet. One interesting thing to note is this shop has dark brown patterned wallpaper on the walls which is unusual, but effective. 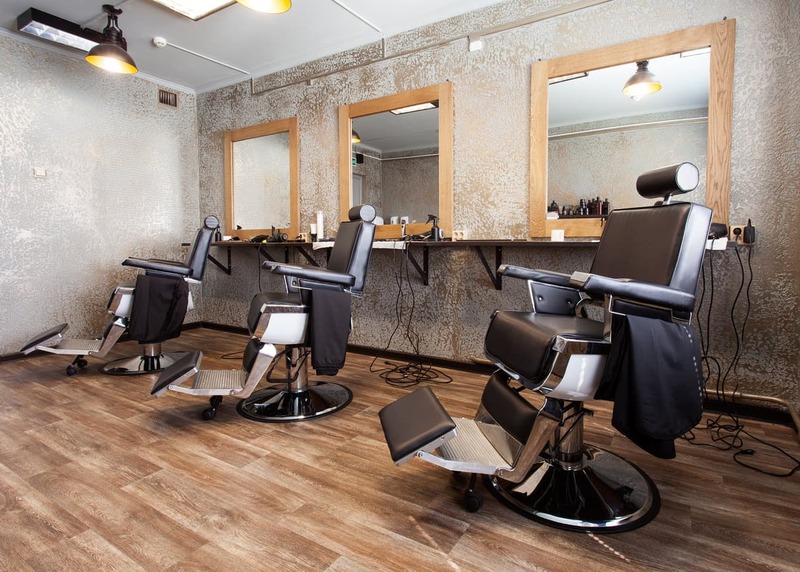 Here’s a light and bright barbershop with distressed looking walls against a wood floor. Frankly, I don’t like the walls at all, but included this design because you might. They are unique for sure. 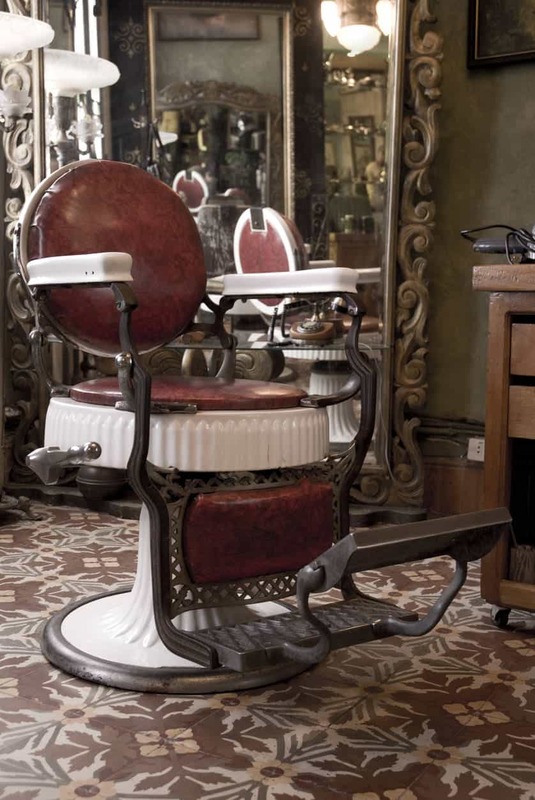 Here it is again, a true beauty with brick wall, wood floors and fabulous deep red and white barber chairs. 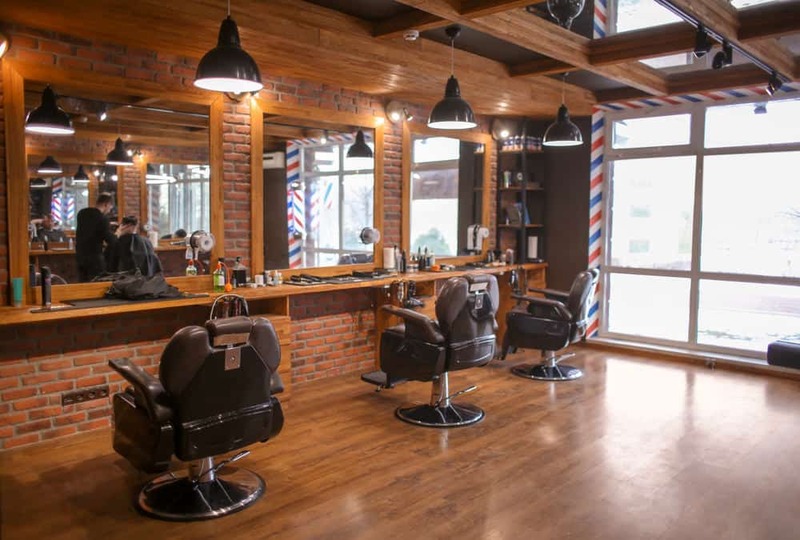 There’s a stylish barber for good measure.